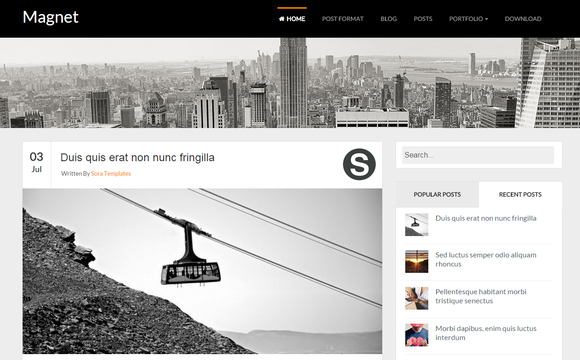 Magnet is a Responsive blogger template. It supports many formats like Standard, Gallery, Link, Quote, Video, Image, Status and Audio. For video and audio post formats, it is really easy to embed video and audio files to posts. Magnet Blogger Template has beautiful slider just below header for intro text or anything like that. For standard articles, the main focus is on content. Magnet Blogger Template is having one of the best awaiting features that Supports Multi Author from Google+ System.